iPhone 6 and 6 Plus users are suffering from a manufacturing issue that presents itself as a gray flickering bar at the top of the screen and an unresponsive — or less responsive — touchscreen. Affectionately known as ‘touch disease,’ it’s a persistent problem that Apple seems fully aware of, but not all that willing to do anything about.Although detailed by a handful of third-party repair specialists — like iFixit — and dozens (if not hundreds) of complaints on its own support forum the problem persists. The problem seems to stem from the flawed controller chip soldered to the logic board by the phone. Rumor has it, this could even be the same design flaw that caused the ‘bendgate’ controversy when the phone first released. When a user gently twists or applies pressure to the device, the gray bar disappears, albeit temporarily. Eventually it comes back, and the problem will continue to get worse until the touch functionality stops working altogether. This issue is widespread enough that I feel like almost every iPhone 6/6+ has a touch of it (no pun intended) and are like ticking bombs just waiting to act up. In both the iPhone 6 and 6 Plus, the Touch IC chips connect to the logic board via an array of itty-bitty solder balls–“like a plate resting on marbles. Over time, as the phone flexes or twists slightly during normal use, those solder balls crack and start to lose contact with the board. At first, there may be no defect at all. Later you might notice that the screen is sometimes unresponsive, but it is quick to come back with a hard reset. As the crack deepens into a full separation of the chip-board bond, the periods of no touch function become more frequent. According to those affected that tried to seek help at the Apple Store, they were told Apple doesn’t recognize it as an issue and that they were out of luck if the phone was out of warranty. 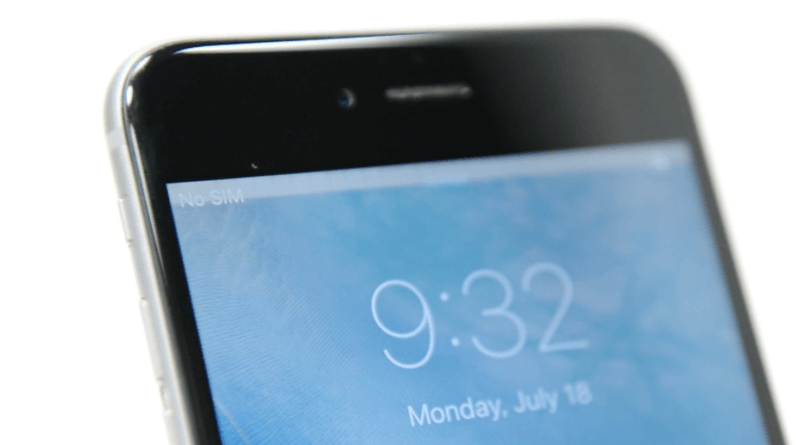 While the problem seems to be prevalent for iPhone 6 and 6 Plus owners, it seems your only recourse (if your phone is out of warranty) at this point is to seek help at a third-party repair facility. It’s not ideal, but according to iFixit the only way to stop the problem is to replace the phone, replace the logic board or replace the Touch ICs on the logic board — none of which are particularly good options.